Are you curious what a property design might look like? How can I help you? 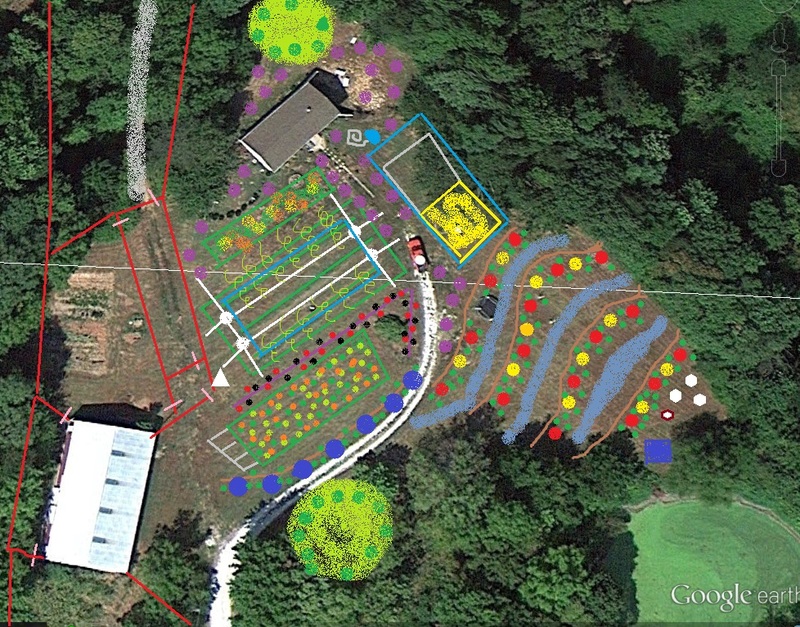 I can create a map custom designed for your specific property that is not only an image where to plant, but also a detailed report on species, climate, phases or stages to design, how to amend soils, and how to combat erosion issues. I just uploaded two property designs I created. Newer designs include more detail and more information with web links to plant species, links to resources for additional information, and how to start making money using your property. 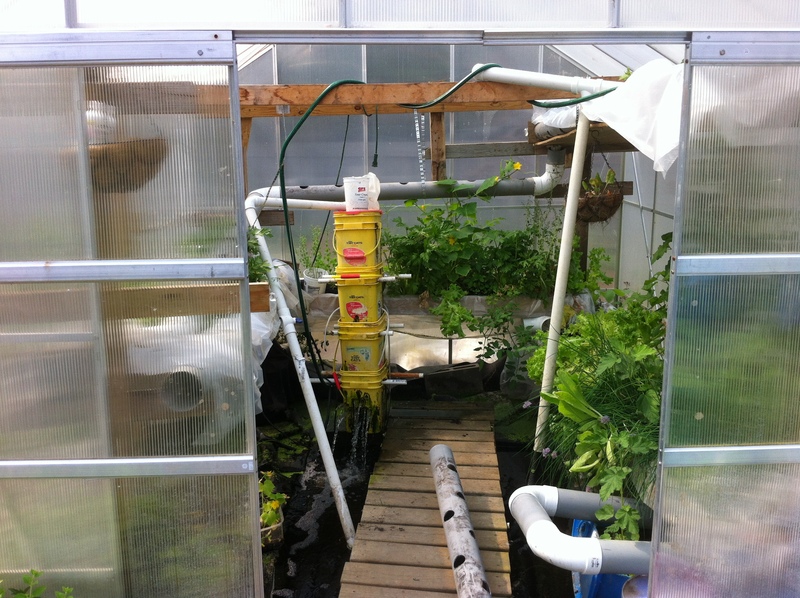 You do not need to have a “farm” to grow income. You can do it in just a 1/4 acre plot. With the property owners permission I have posted two additional designs based on a rural configuration where the owners wanted to introduce livestock to their property, 50 acres. The second property is a suburban property and shows the possibilities of what you can do on a smaller portion of land, only 1 acre. You can have a design for any number of situations and configurations. 100+ acre tract down to an apartment window. Prices for design are based on time needed and applied to the design, each design will be unique. 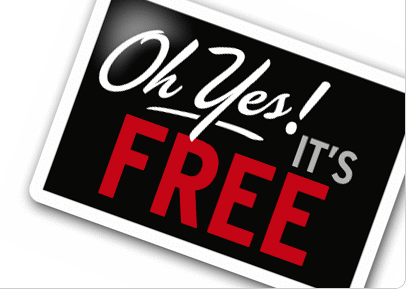 For details on pricing use the consulting page. We have been very busy lately. As the colder weather approaches, there just doesn’t seem enough time to get it all done before winter. 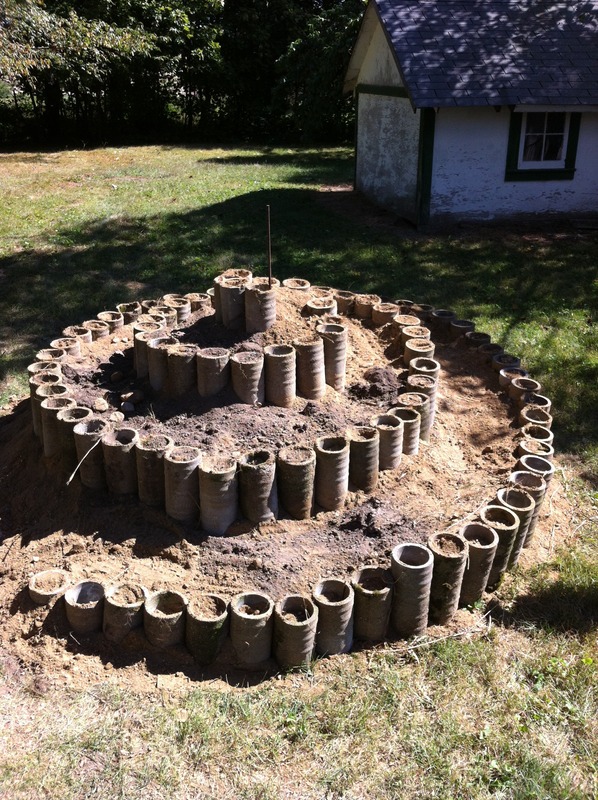 I completed the 1st of the herb spirals this weekend. 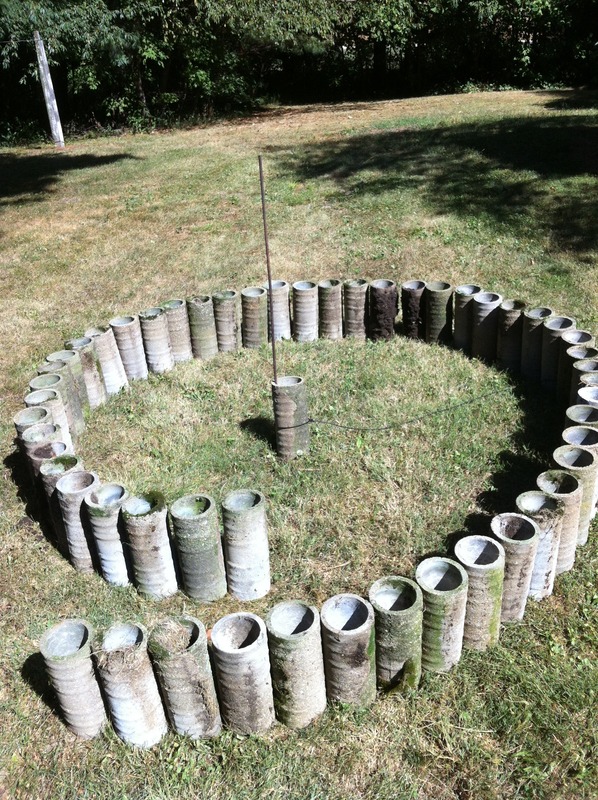 I know it won’t get planted this year, but getting it installed now will allow the ground to settle over the winter, and I can add more soil before actually planting. This spiral cost me noting to make. The walls are made from old concrete field tile that has accumulated out at the farm. The soil is from an excavated area and soil had been piled up. It only took about two full days to complete, and most of that was hauling dirt. I had the layout done in about an hour. Not only can I plant in the bed area, but because I used hollow building materials I can plant in them too. I haven’t yet decided what to plant into the tiles. But while building this I discovered about 6 other larger tiles. About 1 ½ feet across. We are now going to use these as large planter pots. Nothing goes to waste. Started with a stake, and one tile. I placed the tiles where I thought it would go adjusting as I needed. Dry fitting. After I was happy with the design, I started adding soil from the outside first. This is what I ended up with. Both my wife and myself can reach the center from any side. The 2 year old calls it her castle and likes to run up the ramp to the top. 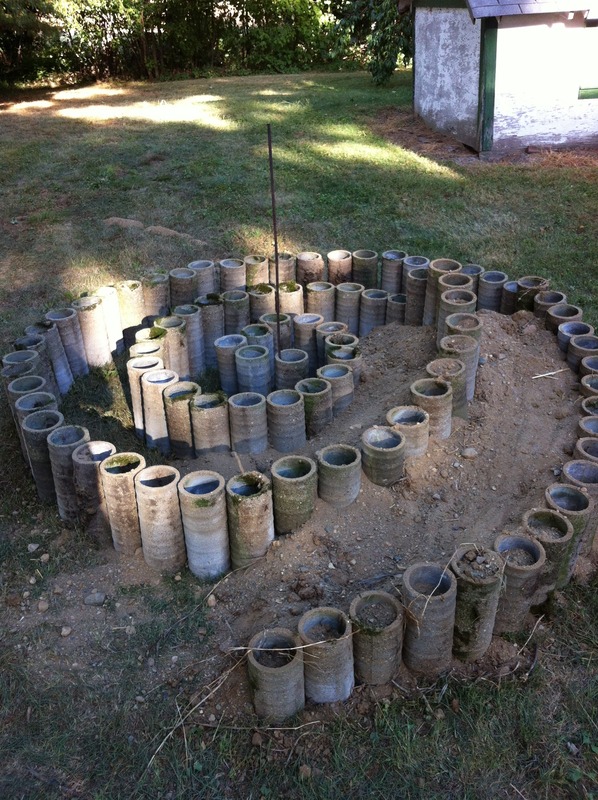 It helped compact some of the soil and set the tiles, so she helped with this project too. Speaking of nothing to waste, my wife’s grandfather is tickled and laughs almost daily at the stories we tell him of repurposing materials. The tiles were just one example. We found an old door that was repurposed in the chicken house for ease of getting into the laying boxes. Several months ago we found some old aluminum wiring of some sort in a junk pile. We repurposed it to use as a trellis for the blackberry garden. Now it is much easier to harvest the berries when in season. 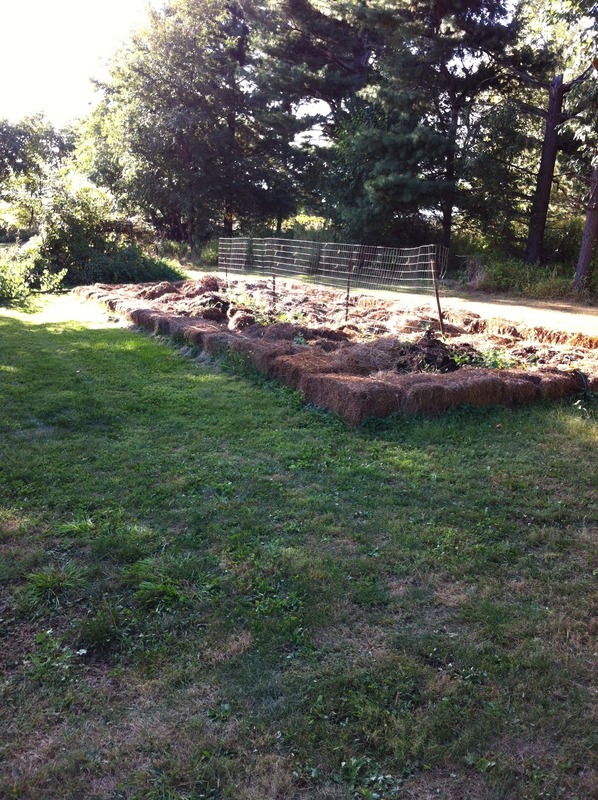 Old fencing, has become used for growing peas and tomatoes. Old bricks will be used for a forge. 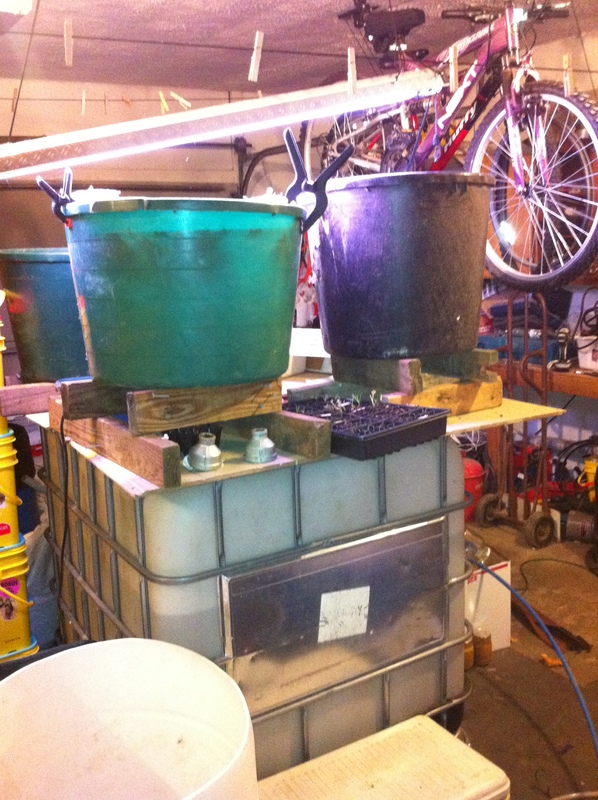 Old 55 gal drums will be used for water barrels and about 100 uses for old pallets. We have uses or repurpose for just about everything we come across on the farm. 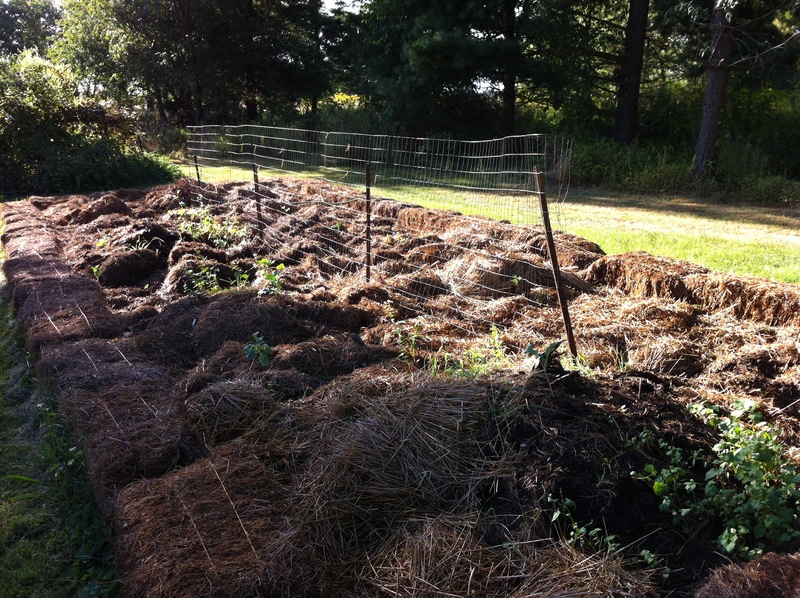 Here is the hay and straw repurposed into fall garden, and the reused fencing in the center as a trellis. We have come to the realization, that nothing is junk unless it absolutely cannot be used. Old bailing wire has a million purposes. Junk mail, I shred it and feed it to my worms to make compost, compost tea, new soil, and bait for fishing. Old barn wood has a new life as a dining room table. 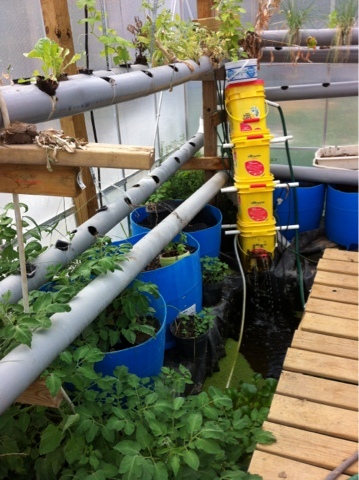 Old tires, potato vertical growing bins. If I don’t have an immediate use for it, it will go into one of the piles/barns and find a new purpose when one is discovered. Not all the repurposing ideas are my own, but most of the “functional” uses have been developed on demand. The creative are about 1/3 mine 1/3 wife and 1/3 I find online. In my pinterest account you can see some things I stumbled upon. We have been cleaning out old garden beds, adding chicken area to keep them safe from predators, and reorganizing materials. 6 new chicken tractors are on the list to build before February. Again these will be repurposed from old materials as much as possible. The build of the tractors will be a post on its own. Every time we are up there we come up with new projects. We have roughly 45 min to an hour one way drive time from our Indianapolis home. On the way up to the property we discuss what we are going to do, would like to accomplish, and plan for attaching. We have 4 pages of projects, tasks, and wish lists. On the way back we mark off what we accomplished and lists for what we saw that needed to be added or new projects. 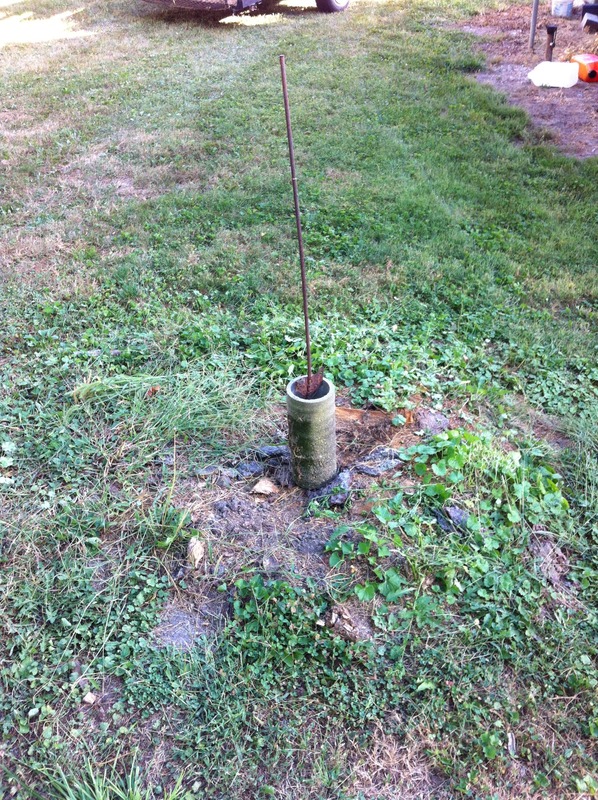 This week I decided to add a pond to the rose garden that will be build either this fall or next spring. 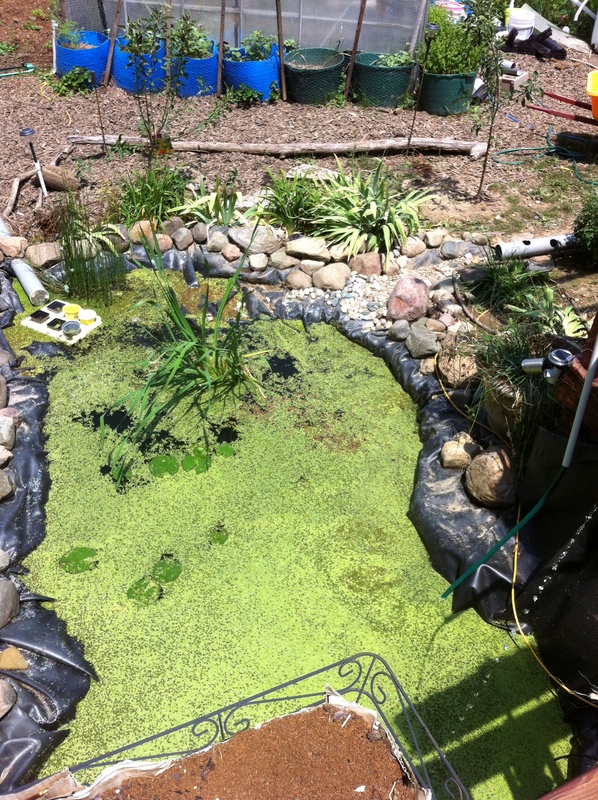 We are repurposing a preformed pond we had here in Indy, which was repurposed from another project. I decided to take all the field stone we have come across during the cleaning phase and make a large waterfall water feature in the pond. 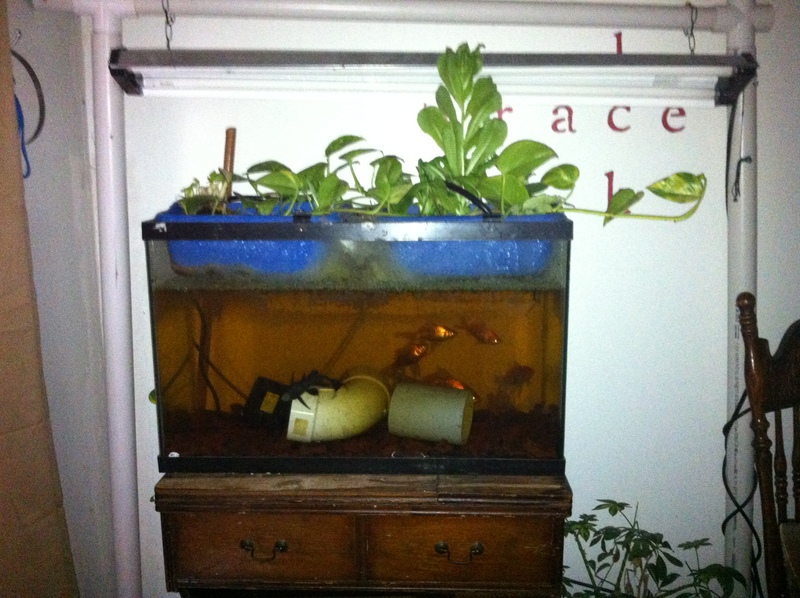 This will not only aerate the water for when we stock, but keep some of the unwanted slime and moss growth down. It will be a nice feature to see, and hear. We would eventually like to make the pond into a natural swimming pool so this fits nicely with that plan. 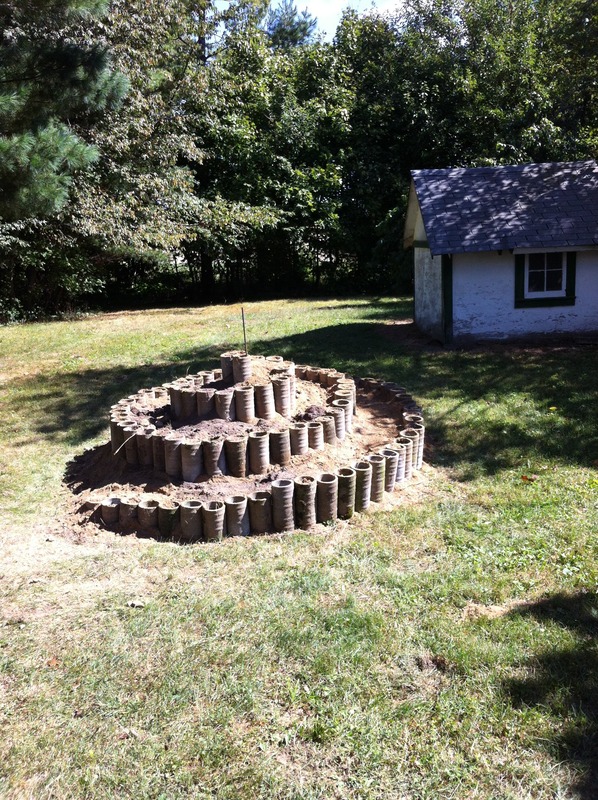 Adding a sauna, hand pump for the well, tree nursery, hoop house and the list goes on. Many people think of parsley as just another condiment or a garnish on a plate, but parsley has many benefits beyond garnish. For starters you can and should grow parsley in your gardens. It is a biannual and after the first year establishes will come back again stronger. I have had relatively good success planting and harvesting parsley here in Indiana. Last year’s drought took its toll on many of my plants. What plants survived the horde (aka the chickens) has done well now that I have protected it from them. There doesn’t seem to be anything that they won’t eat. Something I didn’t know and again learned recently that there are two crops from parsley. The green tops most commonly used here in the US but also the root. 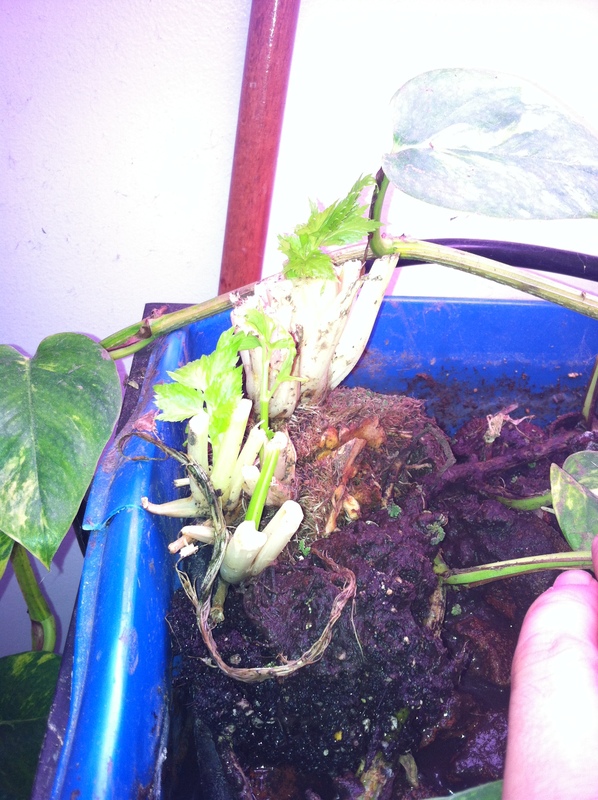 After the first year the parsley plant grows a large tap root to help it survive winters. This tap root is edible and used commonly in and around Europe in soups and stews. The downside is that after harvesting you will no longer be able to harvest the leaves, which means you will just have to plant more. Some for harvesting the tops, and some for harvesting the roots. Besides using parsley in everyday cooking I like to use it in my cold remedy. This will be a series on the components of that remedy starting with parsley. Parsley has anti microbial and antibacterial properties. I recently learned that it also has shown anti cancer properties. Parsley is loaded with antioxidants and has loads of vitamin C and A. Some studies have suggested that it also can help with arthritis, is healthy for the heart, and the anticancer properties have shown promise in colon and cervical cancers. 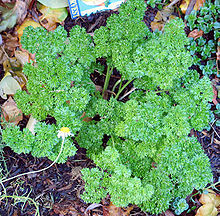 Parsley can take a while to grow as the germination time from seed is four to six weeks. 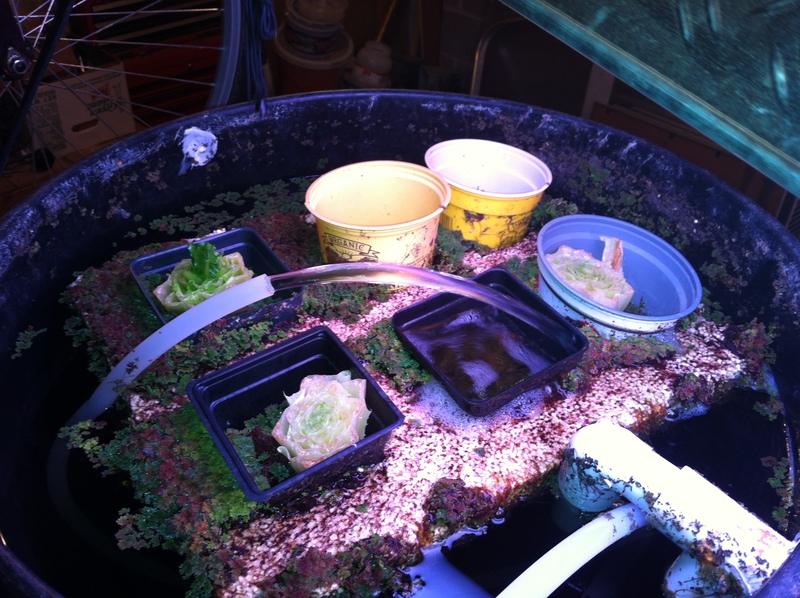 I plan on starting my next batch of parsley December-January timeframe. I know, middle of wither here in Indiana right? But this early start allows for a longer growing season. By the time the last frost comes, my plants will be 4-6 inches tall and already on their way to producing for me. 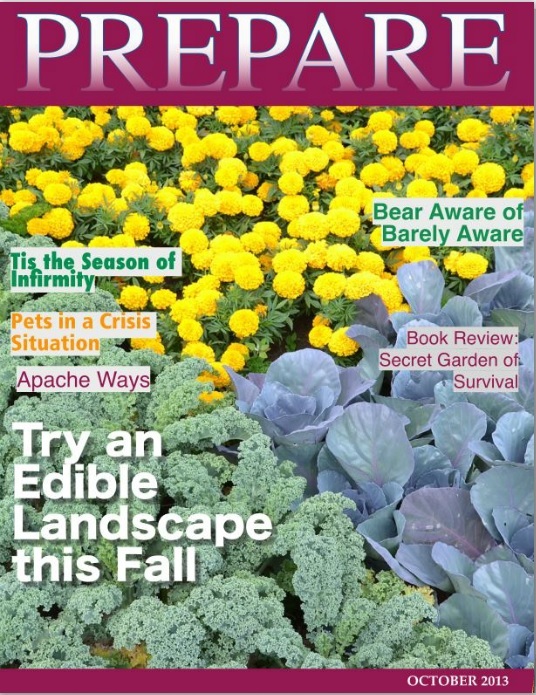 This means I can harvest some of the leaves as early as March or April when many people are just starting to think about gardening. It prefers well drained soil and full sun. 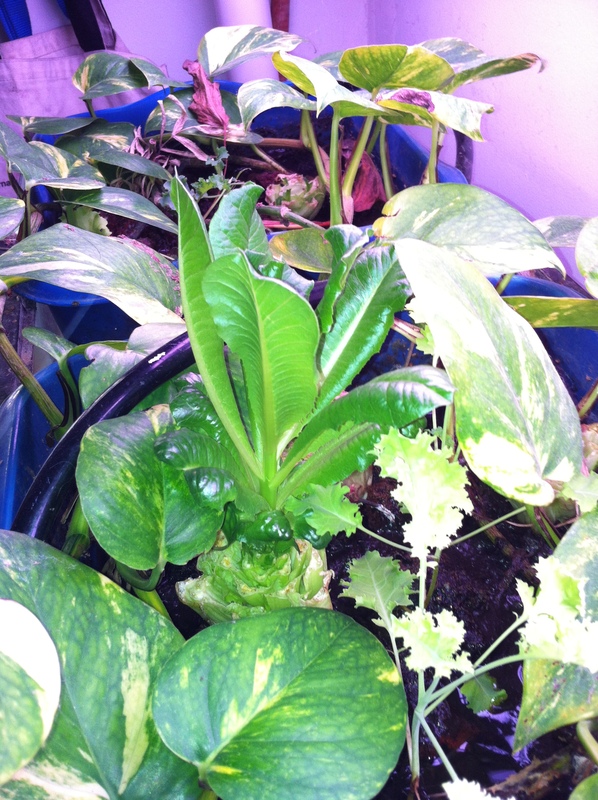 It can be grown indoors or out, and in the ground or in containers. I currently have my parsley in container gardens, but plan on adding it to one of my herb spirals for next year out at The Farm. When I have harvested in the past, I would only collect the leaves. 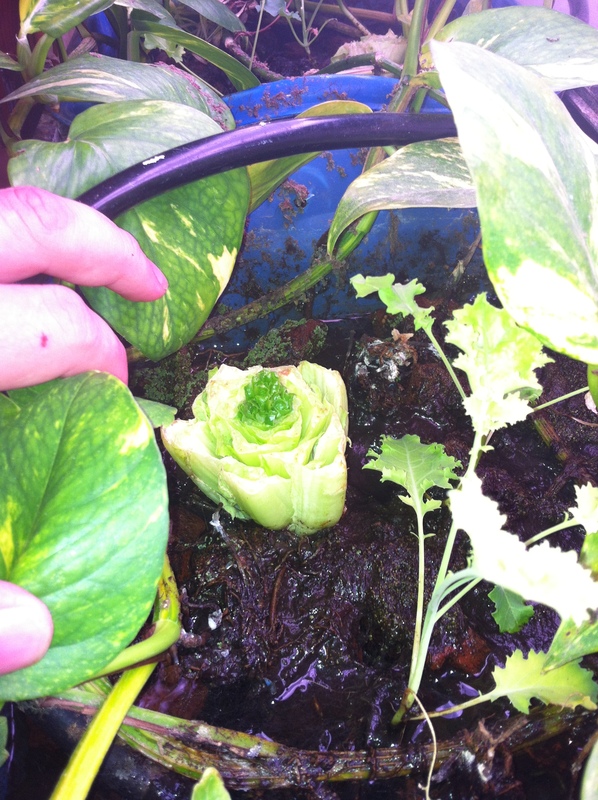 Or cut a large bunch, then chop off the leaves and either dehydrate or use fresh. Lately I have been saving the stems and freezing them. These stems are what I use as part of my cold remedy or to flavor stocks. Whenever I have a component if a vegetable or plant I am not eating directly I save for when we make stock. Parsley stems for example, or the tops and bottoms of onions, or the tops and bottoms of celery. While I don’t eat them directly I wouldn’t dare throw them out. I save it until I have enough to make a stock. Read more about stocks and cold remedy on another post. Parsley can be eaten raw or cooked. 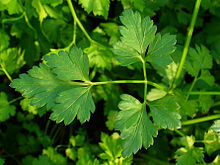 Raw parsley is said to cleanse the palette and freshen the breath. There are many juicing and smoothie recipes using fresh parsley. Try making it an addition to meals prepared at home.